5 state-of-the-art bowling lanes, billiard tables, foosball tables, ping pong, shuffleboard, classic board games, and a TV lounge with Wii capability. One of the most exciting events we have at Connect Church are our Water Baptisms! The next Water Baptism is schedule for Sunday, April 29th at 10:30am. If you are interested in being a part of this exciting event, and being baptized on this date, please e-mail Duane Hoxworth at Duane.Hoxworth@connectwaco.com, or text or call him at 254-717-1962 by Saturday, April 21st. Please leave a voice mail if he is unable to answer. Come spend an intimate evening with Jesus on Good Friday, March 30th at 7pm. Come experience an intimate evening with Jesus this coming Friday, Good Friday, March 30th at 7pm, at Connect Church. 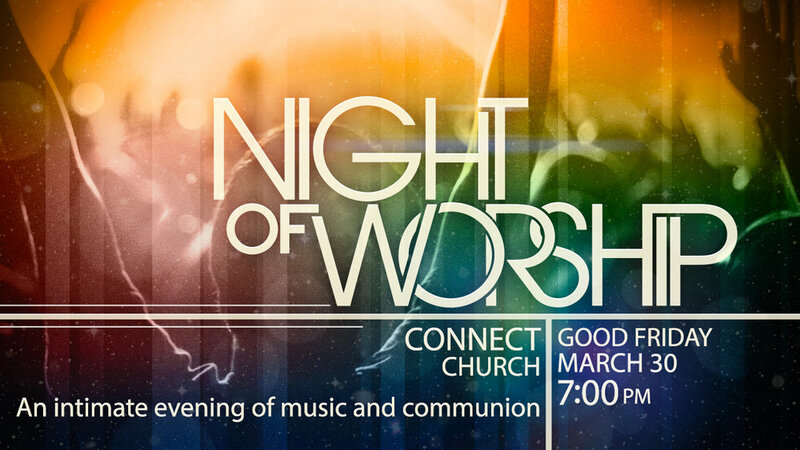 An evening of inspirational music, communion, and the story of Jesus' sacrifice for each of us. Connect with us, celebrate with us... Easter with Us! Are you making plans for Easter? We are, too, and we'd love to invite you to spend Easter with us! Good Friday Service, Friday, March 30th at 7:00 p.m.
Easter Sunday morning, April 1st at 10:30am with special events for the children in UpStreet!